Born in 1985, Rory Cormac grew up on the coast in South Devon. He was educated at the University of Nottingham and King's College London. Rory has now returned to Nottingham as a lecturer in international relations. His research focuses on intelligence and covert operations. 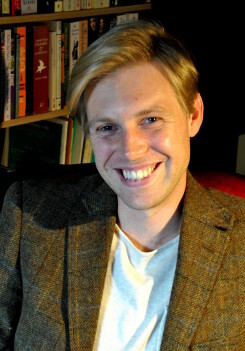 Rory has previously worked at King's College London and the University of Warwick. He is the author of 'Confronting the Colonies: British Intelligence and Counterinsurgency' (Hurst 2013). Rory has also published numerous academic articles on intelligence, irregular threats, and covert action in journals from Intelligence and National Security to Strategic Studies. Rory was brought into Andrew's agency via collaboration with his colleague Richard J. Aldrich. They are currently writing a book together on Prime Ministers and intelligence. Richard has enjoyed a long and fruitful collaboration with Andrew, whom he highly recommends. 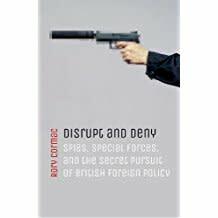 Oxford University Press have bought world English rights in academic Rory Cormac’s book on covert action since 1945 Most Unusual Measures.